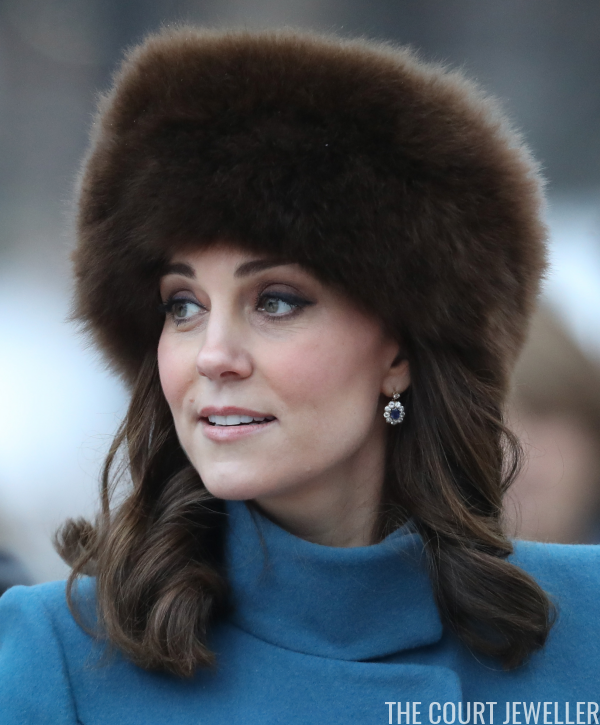 The Duke and Duchess of Cambridge traveled to snowy Norway for the second leg of their Scandinavian tour today, and we had plenty of royal jewelry on show. 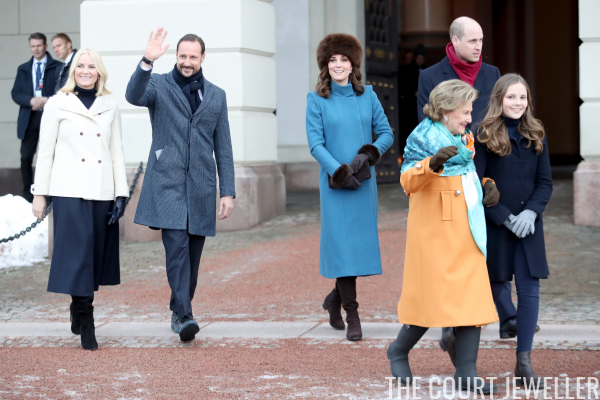 William and Kate were greeted at the airport by Crown Prince Haakon and Crown Princess Mette-Marit. 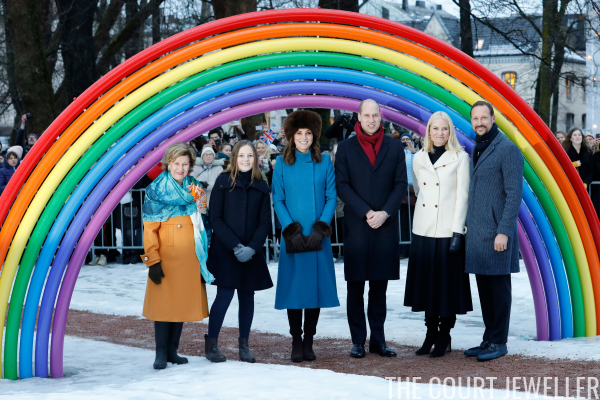 They joined Queen Sonja and Princess Ingrid Alexandra at the Princess Ingrid Alexandra Sculpture Park in Oslo. Sonja, who loves modern jewelry, wore geometric earrings and a matching necklace during the engagement. 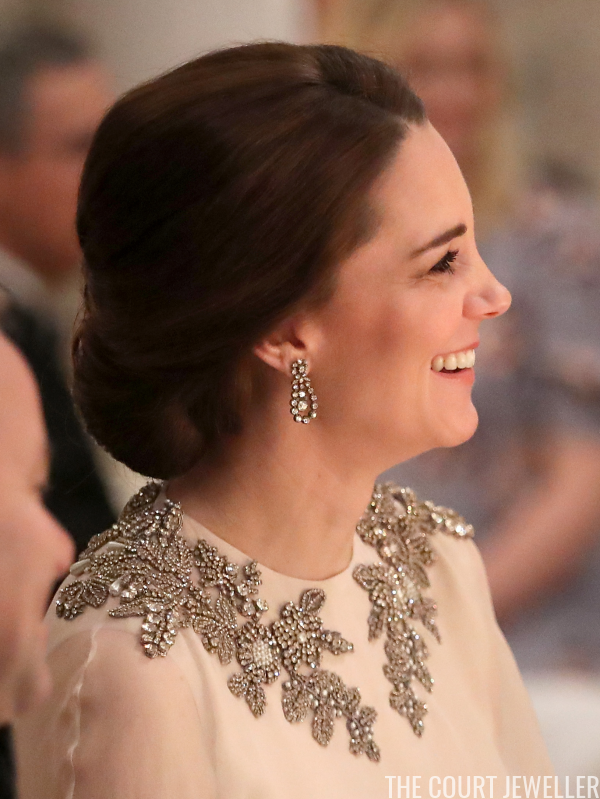 Kate went for an old favorite: her sapphire and diamond cluster drop earrings, which you can read more about here. 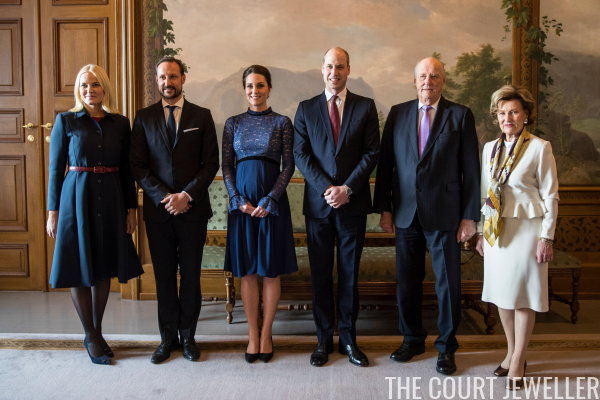 The royals wore the same accessories for a meeting at the Royal Palace with King Harald V. Of all the royal families in Europe, the Norwegians are the most closely related to the Brits; Harald's father, Olaf, was a grandson of King Edward VII. 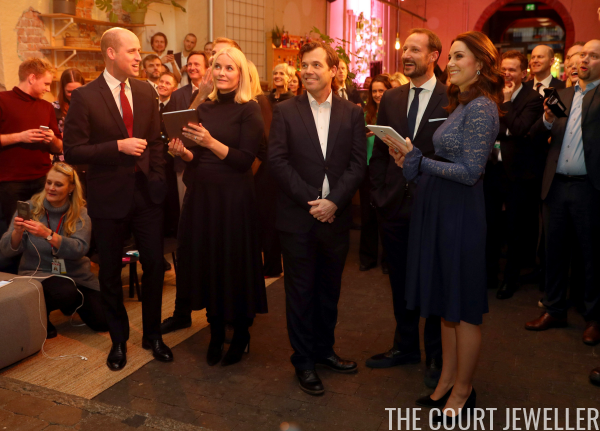 Haakon and Mette-Marit later accompanied William and Kate to MESH, a workspace for tech startup companies. 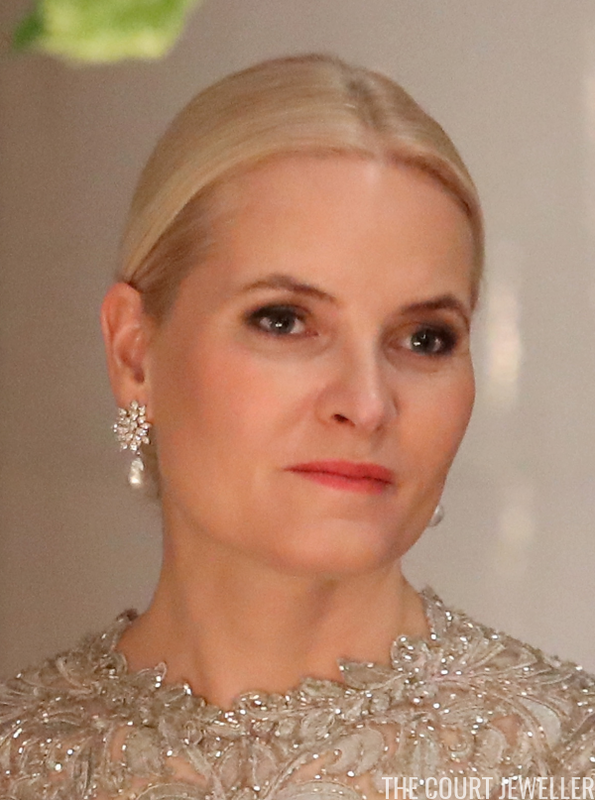 We got a better look at Mette-Marit's diamond and pearl drop earrings during the MESH visit. 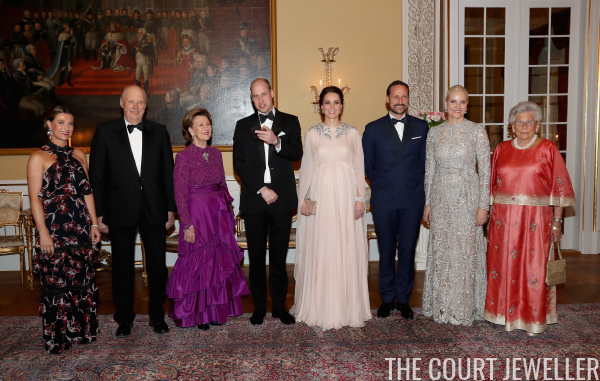 For the evening's black-tie reception at the Royal Palace, both the Norwegians and the Brits went for heirloom royal jewelry. 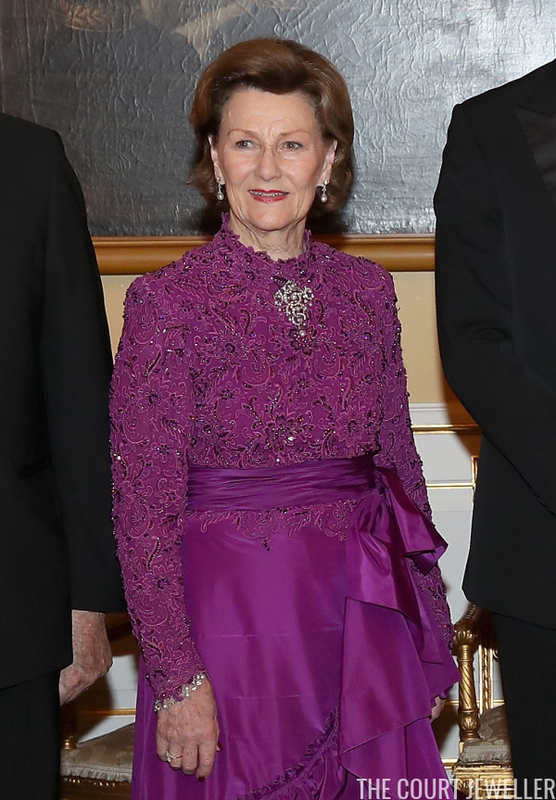 Queen Sonja wore a major heirloom jewel that belonged to a British princess. The diamond and pearl jewel pinned at the neck of her gown is the Drapers' Company Brooch, which was a wedding gift to Princess Maud of Wales, daughter of King Edward VII. (Read more about the brooch here!) 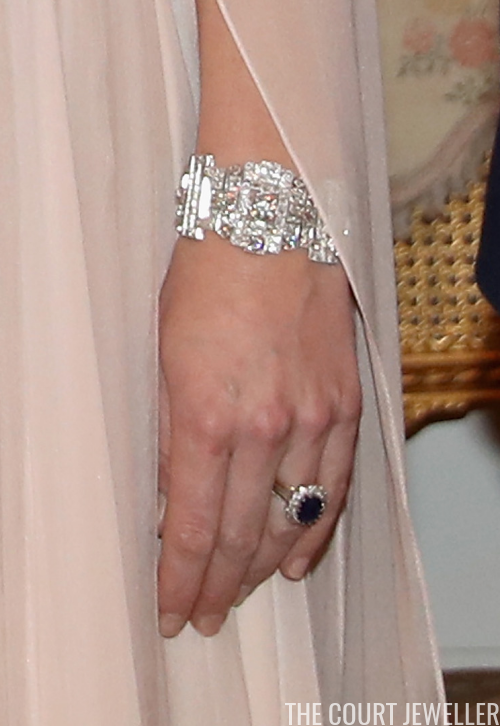 Her other accessories included diamond and pearl earrings and a pearl bracelet. 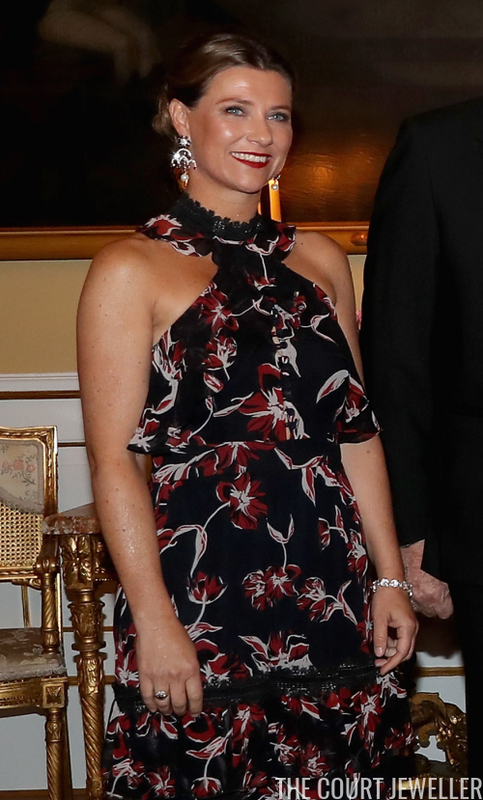 Crown Princess Mette-Marit wore a lovely pair of diamond floral and pearl drop earrings. 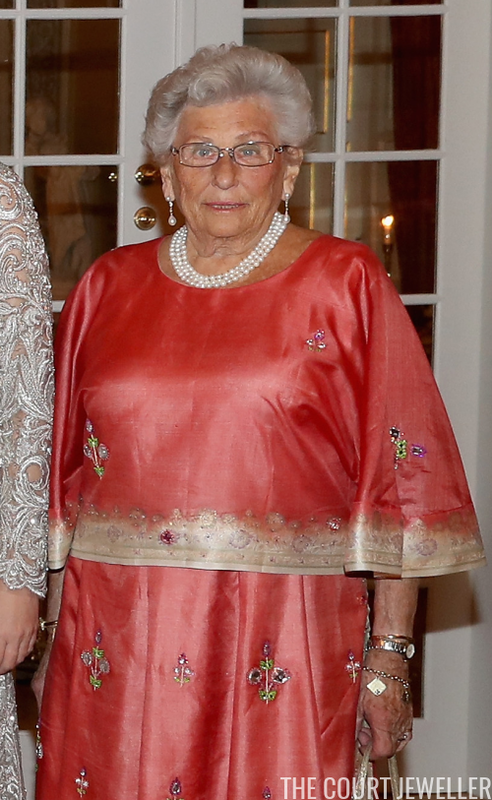 Princess Astrid, King Harald's sister, wore a lovely pearl necklace, pearl drop earrings, and stacked bracelets. 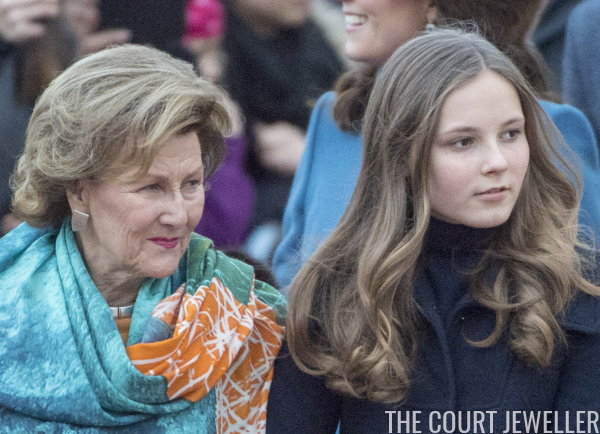 And Princess Martha Louise, Harald and Sonja's daughter, wore gem-studded statement earrings and a gorgeous bracelet. 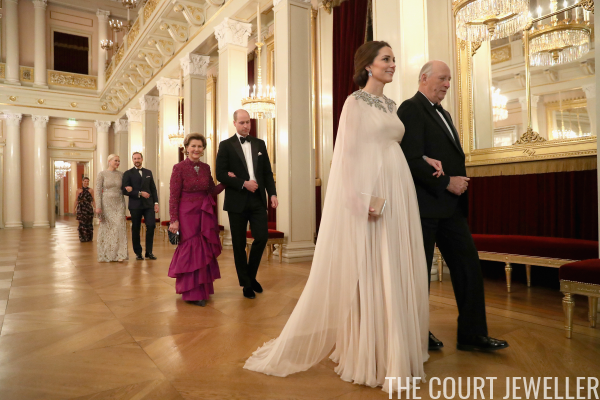 Which gala jewels from this event were your favorites?